Violist, Cassandra Lynne Richburg, will join the Symphony Napa Valley in the fall of 2013 as its Principal Violist. She will also remain a member of the New Century Chamber Orchestra in San Francisco which she joined in 1992. Ms. Richburg is a studio musician in Los Angeles performing on more than 300 Motion Picture Sound Tracks for such movies as: Steel Magnolias, A Beautiful Mind, Monster’s Inc., Indiana Jones, Princess and the Frog, and Avatar. Ms. Richburg has additionally performed with Academy and Emmy Awards Orchestras on several occasions, as well as Soul Train and NAACP Image Awards shows, and Dancing with the Stars. Lynne has won many competitions across the nation including 1st prize in the William Primrose National Viola Competition and a special prize in the Lionel Tertis International Viola Competition. Ms. Richburg was selected and featured for the McGraw-Hill Young Artists’ Showcase Competition for radio station, WQXR-FM, and also performed on the television station, WKAR, for the Michigan State University Young Artists Recital Series. 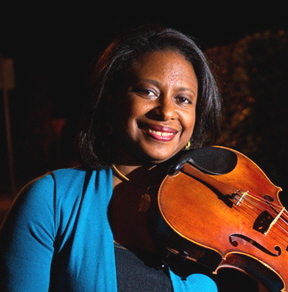 Ms. Richburg was the youngest violist featured in the video-taped “Master Viola Series” by Donald McInnes while a student at the University of Michigan. In 1982, she was chosen a Presidential Scholar in the Arts. Cassandra Lynne Richburg received Bachelor and Masters degrees from the University of Southern California under the guidance of Donald McInnes and Alan DeVeritch. Lyman Bodman was her primary teacher during high school years. Ms. Richburg has been a featured soloist with several orchestras including the Lansing Symphony, Calgary Philharmonic, Savannah Symphony, Sacramento Symphony, The Academy Orchestra, and the New Century Chamber Orchestra. Ms. Richburg has held positions of Assistant Principal and Principal Violist with the Sacramento Symphony, Principal Violist with the San Francisco Chamber Orchestra, Co-Principal of the Sacramento Chamber Orchestra, and the Lansing Symphony Orchestra. Additionally, she has performed with the New York Philharmonic, including a United States tour, and the San Francisco Symphony, including both United States and European tours. Ms. Richburg participated in music festivals across the nation including: Buzzard’s Bay MusicFest in Marion, MA, LaJolla in CA, Sunflower MusicFest in Topkea, KS, Mountain Team Concepts in Steamboat Springs, CO, the Colorado Music Festival in Boulder, the SunFlower Music Festival in Topeak, KS, Music at Bear Valley in CA, and many summers in Sun Valley, ID as a member of the Sun Valley Summer Symphony and one if its chamber musicians. Lynne also enjoys teaching and coaching violists of all ages in Sacramento, CA, where she currently resides.